Art publisher and collector Peter Brant inaugurates the East Village branch of his namesake foundation and art study center (which has also been located in Greenwich, CT since 2009) with a career survey of the legendary Jean-Michel Basquiat, the wild-child painter whose work went from street art to art museum collectible. 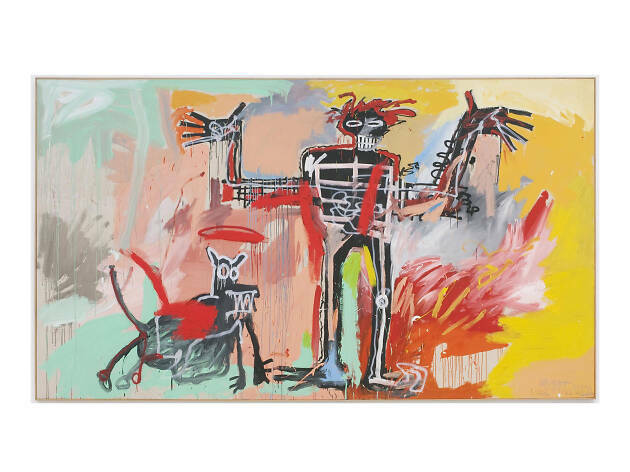 The exhibition, organized in collaboration with the Fondation Louis Vuitton in Paris, draws on Brant's extensive collection of Basquiat masterworks and is bolstered by loans from various international museums and private collections. Basquiat, born in 1960 to a Haitian father and Puerto Rican mother, stormed onto the art scene, seemingly out of nowhere, during the heady days of the early 1980s, and stormed off just as suddenly with his untimely death in 1988 at age 28. He was, in other words, a classic case of an artist who lived fast and died young, and his furiously painted canvases (which were stylistically inspired by Franz Kline and Cy Twombly, and included collaborations with none other than Andy Warhol) reflect the headlong rush of his career. Located at 421 East 6th Street in a century-old, 16,000 square-foot building originally designed as a Con Ed substation, the show is free to the public, but you’ll need a ticket to get in. You’ll find them here, but you might want to hurry: Tickets can be reserved through May 12, but available dates and times could run out before the show closes on May 15. The artist has created very talented artworks. 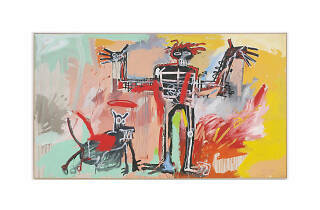 You can read more https://www.theartnewspaper.com/review/kenneth-baker-on-the-jean-michel-basquiat-survey about the artist. You can find a lot of interesting information about him. My opinion: everyone who has such opportunity should visit the exhibition.